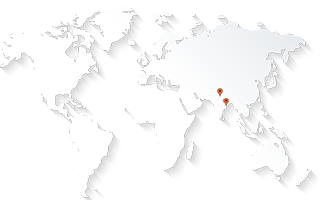 AABSyS has been providing its GIS, CAD and GIS software services to its clients all over the world. The company undertakes many large scale GIS, Software and CAD projects. It supports and partners with companies on various GIS, remote sensing, CAD drafting and designing, software projects. AABSyS’s highly efficient resource pool ensures that the services are provided in a time bound and cost effective manner. The company has a unique online query handling system that enables AABSyS staff to keep in touch with the clients all over the world. The vast amalgamation of resources helps in providing dextrous solutions to various projects. Read all about some of the projects undertaken by AABSyS in the Case Study section. Prospective clients and partners can also send in a mail to info@aabsys.com to ask for specific case studies. AABSyS provides unique solutions to various projects. The Articles section has detailed descriptions about the various offerings at AABSyS. The illustrious list of clients has appreciated AABSyS efforts in proving unique solutions in a time bound, cost effective and flawless manner. The clients have endorsed AABSyS’s skills and expertise in the Testimonials section.